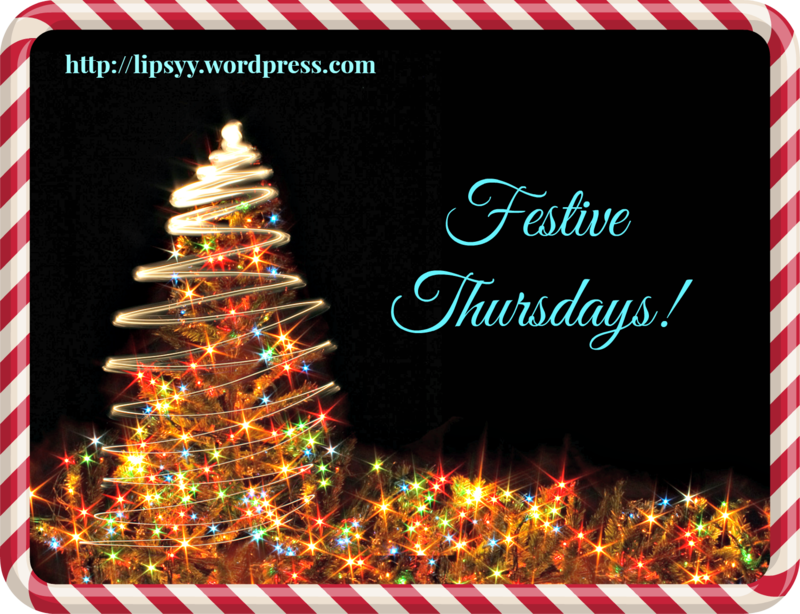 Welcome to Festive Thursday where I’m going to be sharing with you all my Christmas endeavours, including the books I’m reading, the films I’ve watched, gift ideas I’ve found, and any festive events I’ve attended. Because, well, I LOVE CHRISTMAS SO HARD. I’m not really a crafty person and get bored easily, but there is something about Christmas which compels me to make things. Or try to, at least. Here’s what I’ve been making in the last few weeks. They are both easy, and don’t require anything too complicated so if your Christmas spirit is waning, why not give one a go!? I’ve made these a few times now, and they always come out great – and different every time. They are very simply glitter pony beads placed in cookie cutters and melted down n the oven for around 30-45 minutes, depending on the quality of the beads and how many you use. This year I used little zinc-plated nuts so you can thread them and hang them on your tree. Or in your window. Once cooled they pop out of the moulds pretty easily. The beads do give off some fumes, so perhaps not suitable if small children are around. Simply use an extractor fan or open the back door for a while. And once your beads are melted, keep the oven on with the door open for a short while and bob’s yer uncle. I’d never made shortbread before and didn’t realise how easy it is! Like ridiculously. And dangerously. I followed this traditional recipe but added some ginger too. And I made a cinnamon sugar to sprinkle on top (simply mix brown sugar with ground cinnamon). They were seriously delicious and they will be the first thing a make when I get to my parents house tomorrow, too. I think this time I’ll decorate with icing instead. I was really looking forward to Georgette Heyer’s A Christmas Party, but I couldn’t for the life on me get into it so I replaced it with this one, which I’m enjoying and almost finished. As I mentioned in yesterday’s post I’ll be taking a break over Christmas and into the New Year. I’ll still be posting & hosting This Week in Books, and will probably do some yearly round-up posts because they’re always fun, but my usual schedule won’t be back in action until January sometime. Thanks for all the comments, shares on Social media and for generally being awesome. Hi everyone, happy Wednesday! I going to be taking some time off from the blog over Christmas and New Year. I’m still going to post this Wednesday post each week but the shorter version where I simply share what I’m reading now, then and next. I’ll also no doubt be posting some yearly round-up posts but other than that don’t worry if it gets a bit quiet around here. Look out for my last festive post tomorrow where I’ll sign off properly. Happy Holidays! I’ve only just started this. It’s the second in her ‘A Town Called Christmas’ series. I enjoyed this heart-warming story. I’ll try and review it before I go off on my Christmas break. I read 8 books this year that I failed to write reviews for, which I think is pretty good going actually. So as we come to the end of the year, in the spirit of tying things up, here are some very, very short reviews for them, or at the very least reasons for my lack of review! A Christmas Party ~ Georgette Heyer: I only read about 50 pages of this before giving up. It’s a closed-house murder mystery that I was really looking forward to but I just couldn’t get into to it at all. There were lots of characters and none of them were remotely pleasant! Miss Peregrine’s Home for Peculiar Children ~ Ransom Riggs: I didn’t finish this book. I wanted to read it before I saw the film, but didn’t end up seeing it anyway. I think I wasn’t in the mood for it. I’ll hopefully go back to it at some point. The Seeing Stone ~ Kevin Crossley- Holland: This was one of those books that had been on my TBR list for years. I love Arthurian stuff so thought I would love it, but I didn’t get on with it at all. I just managed to finish it but I wasn’t in the mood to write a terrible review of it. Glass Sword ~ Victoria Aveyard: The second book in the Red Queen series was great. I enjoyed it a lot. I have no idea why I didn’t write a review for it! Deception ~ Naomi Chase: I have actually reviewed this but for our library newsletter that we put together at work. Maybe I’ll share it one day. Deception is an ‘Urban Fiction’ book which are popular in the prison where I work. It wasn’t as bad as I was expecting! The Colour of Milk ~ Nell Leyshon: This was a simple, short-but-sweet novel about a poor farm- servant who teaches herself to read. I liked it. Not sure why I didn’t review it at the time. Goth Girl and the Pirate Queen ~ Chris Riddell: This was a short World Book Day story. I don’t remember much about it to be honest. I gave it 3 unicorns though so I must have liked it enough. Happy Wednesday to you all! I hope you’re all enjoying the beginning of December! I’ve only just started this so not much to report yet. I enjoyed this quick read but it was all a bit too Christian for me! My review will be up on Monday. I’m not entirely sure this time. It really depends on my mood. I really hope I get approved for a copy of this as I really loved the first book, Into the Dim. It’s a long wait until its release. For the first time in her life, Hope Walton has friends . . . and a (maybe) boyfriend. She’s a Viator, a member of a long line of time-traveling ancestors. When the Viators learn of a plan to steal a dangerous device from the inventor Nikola Tesla, only a race into the past can save the natural timeline from utter destruction. Navigating the glitterati of The Gilded Age in 1895 New York City, Hope and her crew will discover that high society can be as deadly as it is beautiful. The only books I bought this week were presents so I won’t share those. The cover of this book is pure LOLS. I’m a bit obsessed with Scotland and men in kilts so I couldn’t help but click the ‘request’ button when i saw it. It’ll be good for a laugh if nothing else! This week the topic is… Top Ten new-to-me authors in 2016! I discovered so many great authors again this year, and finally got round to reading some of those that had been on my TBR for way too long. Here are my top ten authors that I discovered or first read this year, (and the books of theirs I read). Links go to my reviews. Did you try any of these this year?